Your child needs some extra love and care which only you can provide. They need a comfortable place where they can sit, sleep and enjoy. 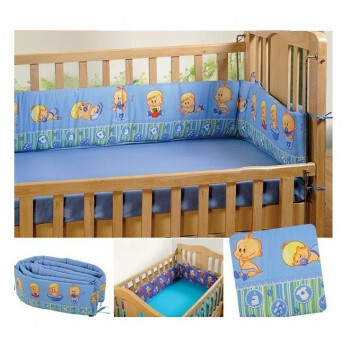 You would never what to see your babies crying and in a bad mood therefore to keep them happy you need to keep them in a blissful and comfortable place. 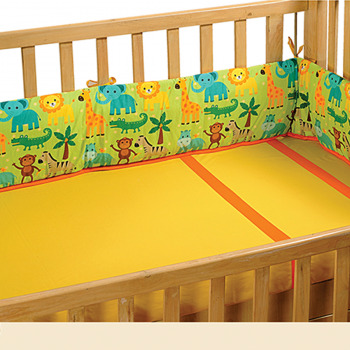 Cot bumpers can offer vibrant look to your baby’s cot where your baby will be excited to sleep. Kids are very interested in things which describe their thoughts and character. They want to see themselves in their belongings and around their room therefore it’s hard for the parents to meet the exact needs of their kids. 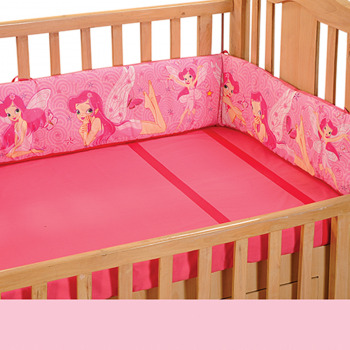 To offer the best for your baby, new and improved designs have come up which you can see in swayam cot bumpers. 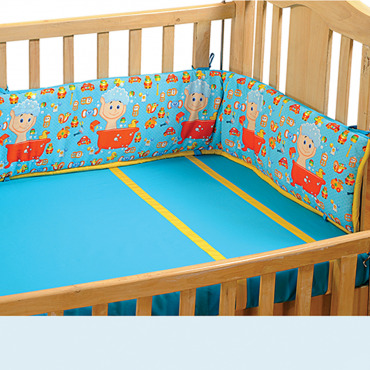 Keep your kids comfortable and happy inside their cot. Let them feel the warm around them along with fascinating scenery. 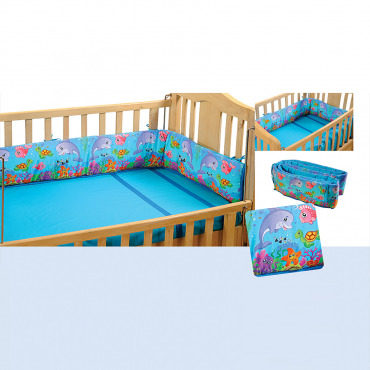 You can give this all happen for your child with the help of beautiful cot bumpers. 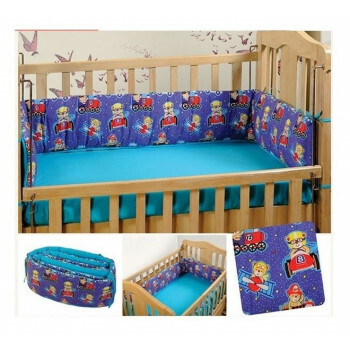 They will make your kid’s life more exciting with the fascinating designs and colors. Bring things are always best for your children as they ignite the excitement and fun. Your kids love being around the ambience of joy there many kids accessories like cot bumpers are designed in this fashion. The bumpers can offer a great deal of comfort as well as enhance the look of the space. 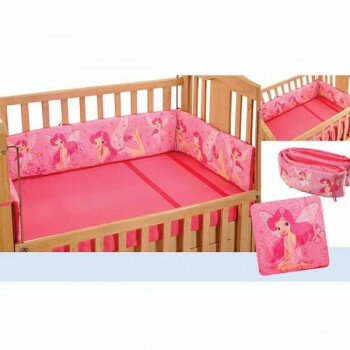 Take your child to the contemporary age by offering them unique and complex designs of kid’s décor products. 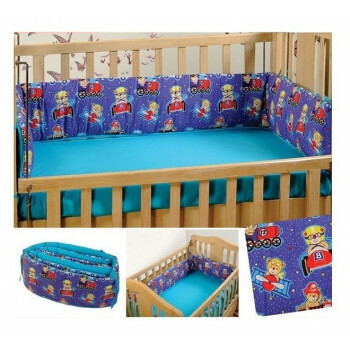 These products are designed according to the likes of children and comprise of cartoon designs in vibrant colors. 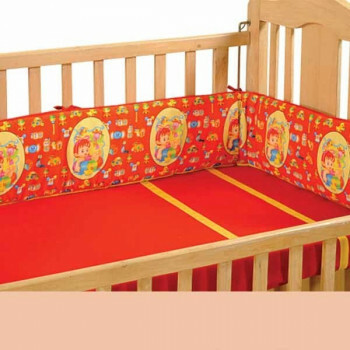 Cot bumper for kids are also designed in the same concept. 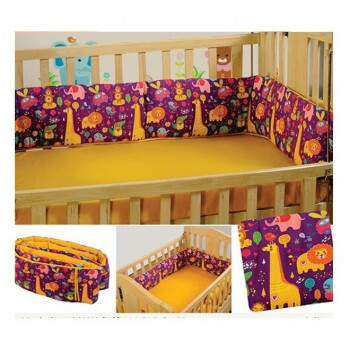 Wow, what a superb cot bumper? Would you like to have it? Will it be too bright? 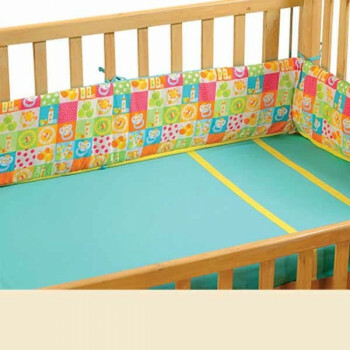 Why not use it for nursery, child’s baby cot?The mixture of bright and cheerful colors interprets it as a unique baby cot of the contemporary age. Get flavored with passion, affection and love which the baby might like. 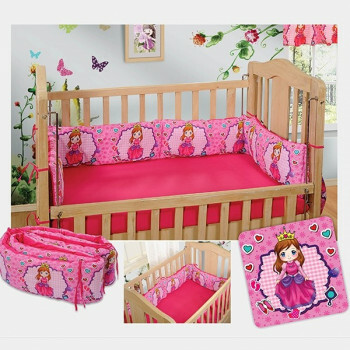 Kids generally like colorful and cartoon designs therefore this modern trend have brought many exclusive designs especially for kids. 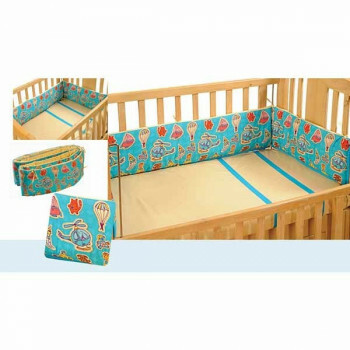 If you are looking for a useful product that will offer comfort as well as add excitement in your kid’s life, cot bumpers can be an ideal product for your child. 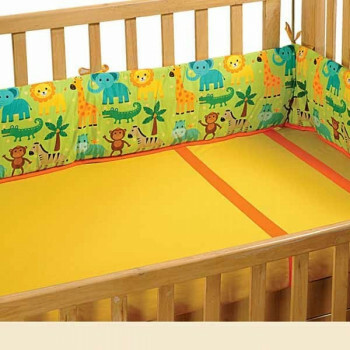 They will keep your child safe and enhance the look of the cot as well. Your kid’s emotions are very sensitive which they show by crying and weeping. 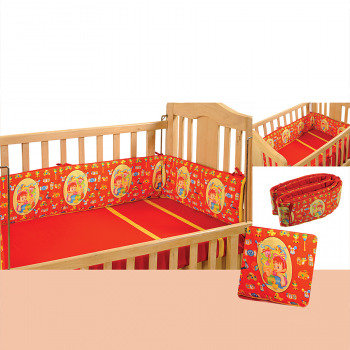 If you want to keep your children happy and calm all the time you need to bring a change in their cot. 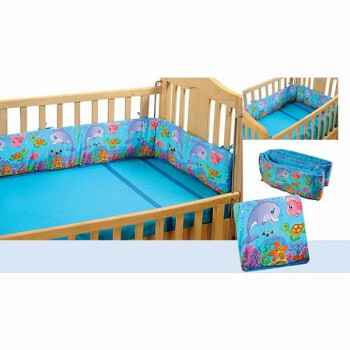 They like colorful and bright things therefore every gift you give to your child must match their desires. Children become very excited when they get to see the things they love. They mostly like colorful things which describe a fantasy world. 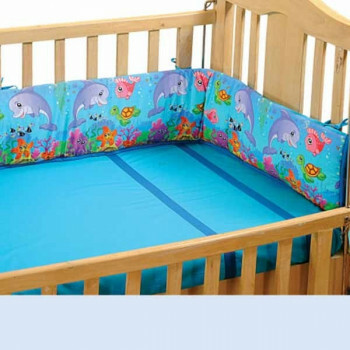 Yours babies and infants spend most of their time inside their cot therefore a colorful cot bumper would be ideal. 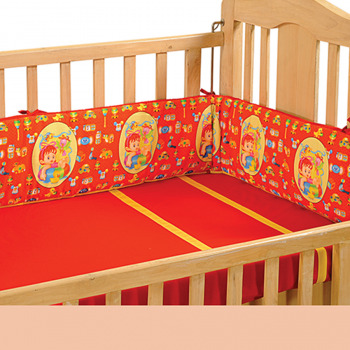 Set your baby in a fun and exciting mood by making their cot colorful and attractive. Bring a joyful ambience around their room with the magical colors. Kids love colorful things as they want to have an enjoyable time. 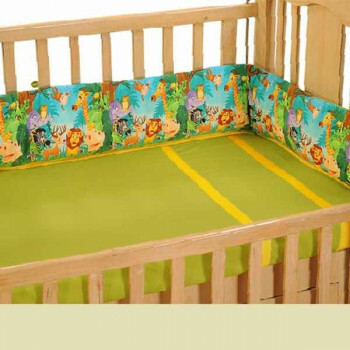 Colors also help to bring in a happy sensation in the minds of your children. Every parent wants to see their child in a happy and playful mood but keeping them calm and comfortable is the hardest part. They require a spacious soft surface where they can feel warm and cozy. 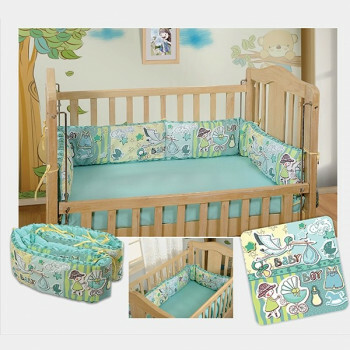 You can give all these things to your baby and keep them contended all the time my making their cot a perfect place to sit, sleep and play. 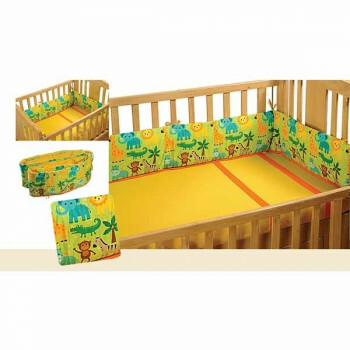 When you think of your baby and what he likes, bright and colorful things comes to your mind. 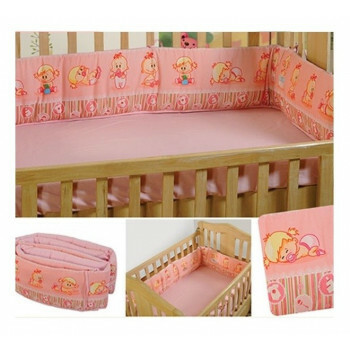 It is certain that kids love colorful things therefore a colorful cot bumper would be a right choice for your baby. These colors have the ability to change the mood of your children. 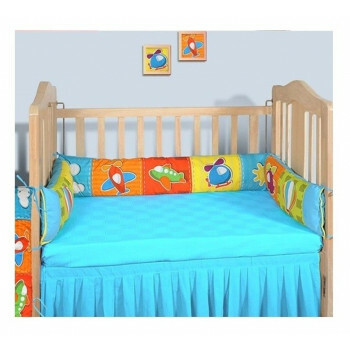 The bright colors create a fun and exciting ambience which kids love. Every parent wants to see their child in a happy mood every time. They mostly cry when they are hungry or feel uncomfortable. 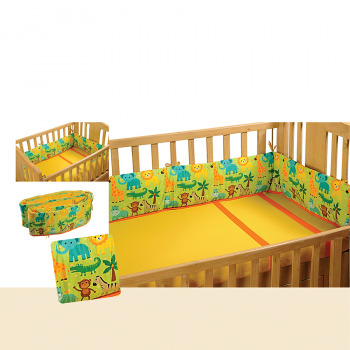 You can create a better place for your kids to play and sleep with the help of cot bumpers. 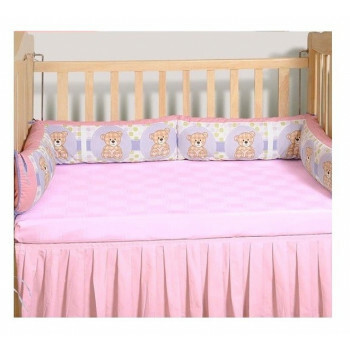 They will definitely appreciate your care when you give them the cot bumper with attractive designs. 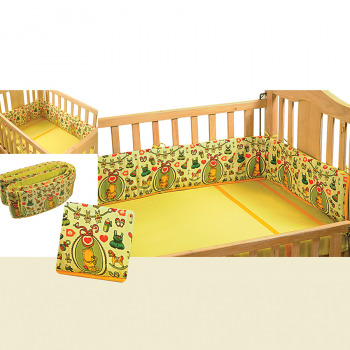 Make your kids happy by making their cot as they desire. They generally love cartoons and toys, therefore whatever you bring for your child, they must contain either cartoons or toys. 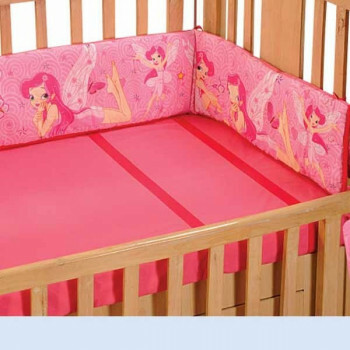 You can bring a smile on your kids face by surrounding their cot with attractive cot bumpers. 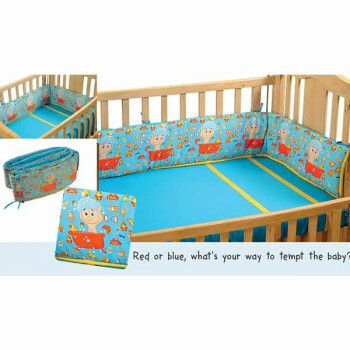 These bumpers will protect your child as well as create a fun and exciting. As kids, we would always like to have fun with water and play with our toys. Kids nowadays also desire the same but your baby needs more care and attention. 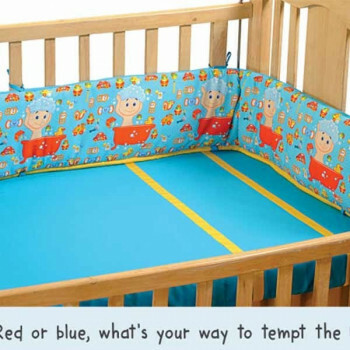 They want to play and sleep comfortably in their cot enjoying the blissful colors around them. 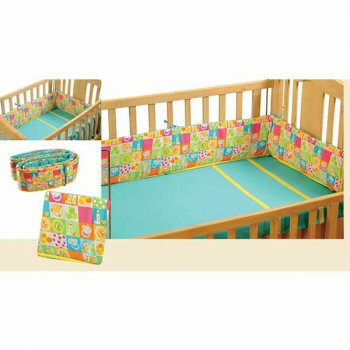 You can also provide your child the things that they need starting with their cot. 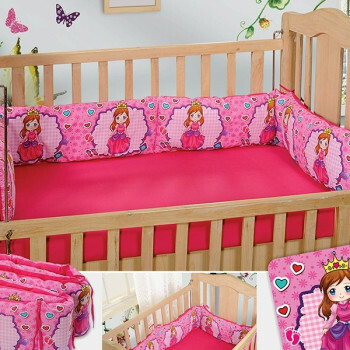 Raise your child in the contemporary world of comfort and style. Give them the finest things in life; after all they are your children. 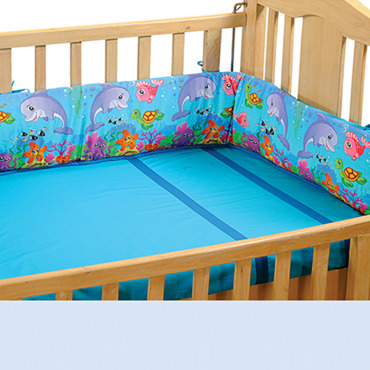 Let your kids have a good time feeling the soft sensation and enjoying the vibrant colors around them. 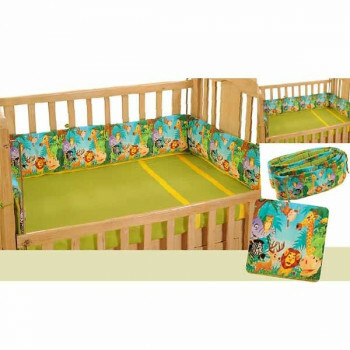 They need your love and care which you can provide them by setting up a comfortable cot where they can play, sit and sleep. Babies need a lot of care especially when they are going to sleep. 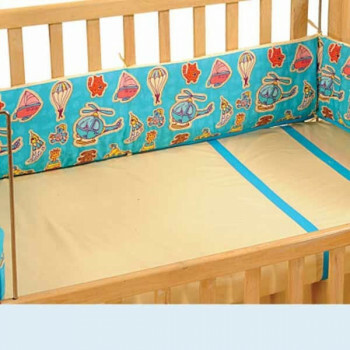 There is a risk of injury to your child even inside their cot due to the sturdy railings but you can reduce the risk of injury by using cot bumpers. 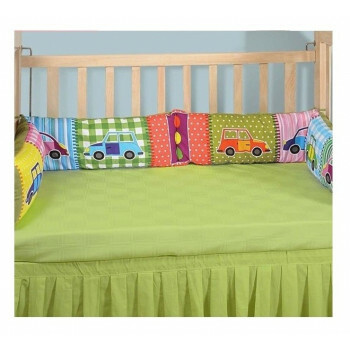 These bumpers will protect your child from all kind of hazard. In addition, they are designed according to the likes of children. Making your child sleep is a difficult task for the parents. 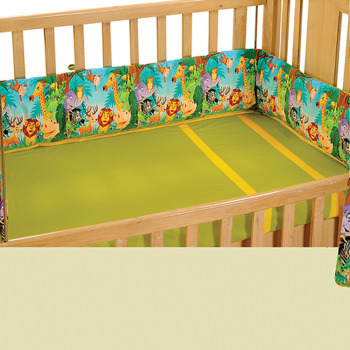 Your babies need to per perfectly placed in a comfortable position away from any hazard. 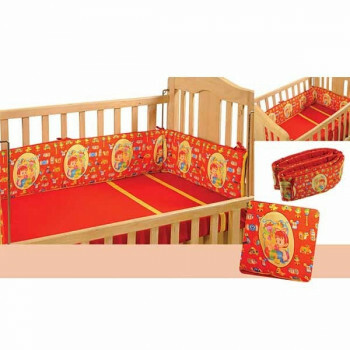 You can protect your kids even if you are not around with the help of cot bumpers. 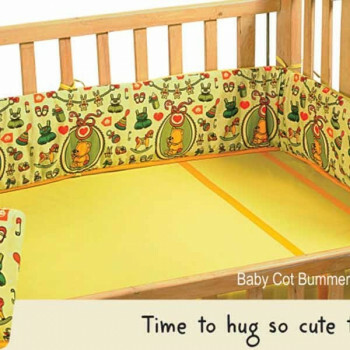 These cot bumpers are especially made for your babies’ cot so that they can go through their sleep without any interruption. 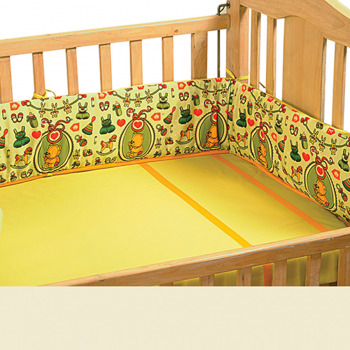 Buy cot bumper online from Swayam India online store and be a better parent. These things can offer your child a cozy sensation and offer them a safe and comfortable place to sleep. 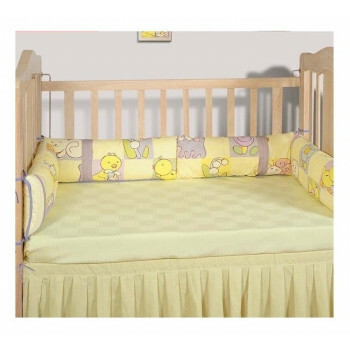 These cot bumpers, crib bedding set are designed by experts keeping in mind the likes of children. They are beautifully colored with cute and adorable designs which will bring a sense of happiness and pleasant sensation around the room. 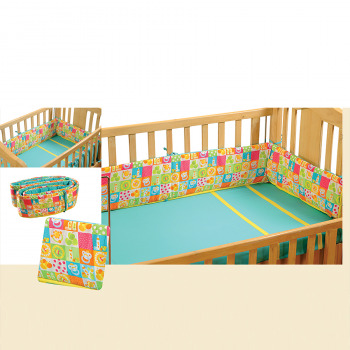 They are mix and matched with bring colors which children love. 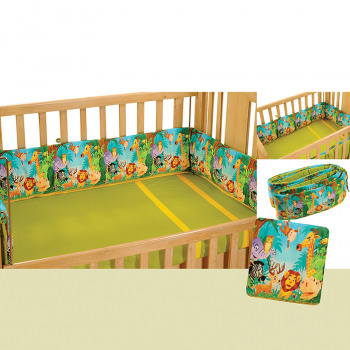 The designs are most in a cartoon concept which can bring a sense of excitement in every child. 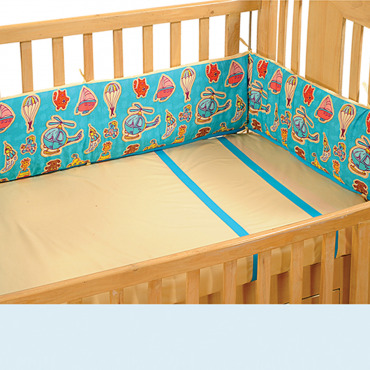 You can also make your kids’ childhood memorable by tying these bumpers around their cot. They are digitally printed therefore impart a clear and bright appearance. 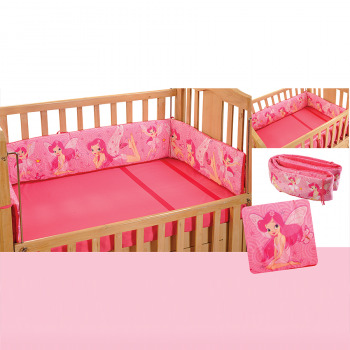 You can choose a special design for your son and your daughter from a wide range. 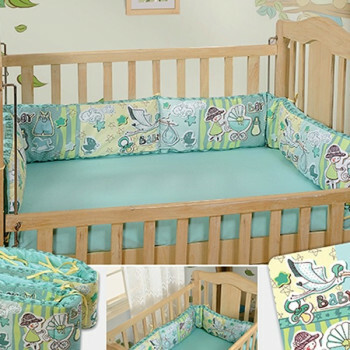 These beautiful mushy baby crib bedding sets will turn their cot into a fascinating place to play, sit and sleep. 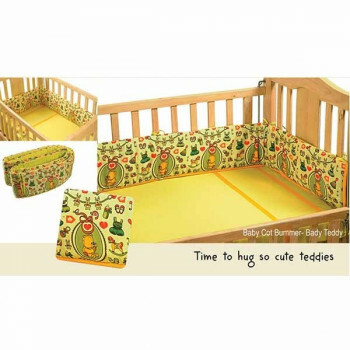 They are made from the best quality cotton which makes them safe for the sensitive skin of children. Your children will never suffer from skin irritation or rashes as they are skin friendly and allergen free. 300gms of polyfil are used to make this bumper soft and mushy. 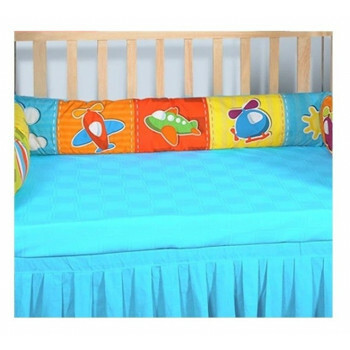 Buy cot bumper online from our shopping portal swayamindia.com and ensure the comfort of your child. 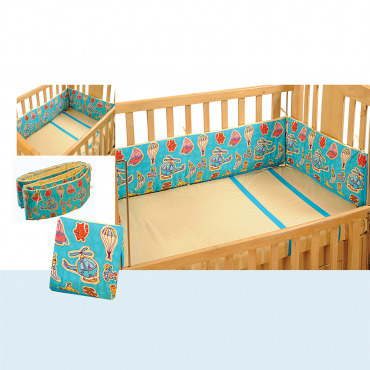 These soft cot bumpers are lines with a permanent health layer which will protect your child from any type of harm or injury. 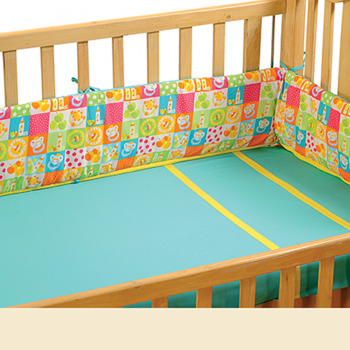 There are 14 tie-up points on the bumper which you can use to tie it firmly on the railing of the cot. Moreover, they are washable which prevent any accumulation of germs and bugs. You can avail baby cot online at a very reasonable price.